AAV-DJ Bicistronic Expression System (IRES-Neo) | Cell Biolabs, Inc. NOTE: AAV-DJ Helper Free Systems are available for sale to academic, government and non-profit research laboratories. All other purchasers require a commercial license for all fields including research use. Please contact our Business Development department for license information. AAV Helper Free Complete Expression Systems are available for native serotypes 1 through 6, as well as the novel AAV-DJ and AAV-DJ/8. 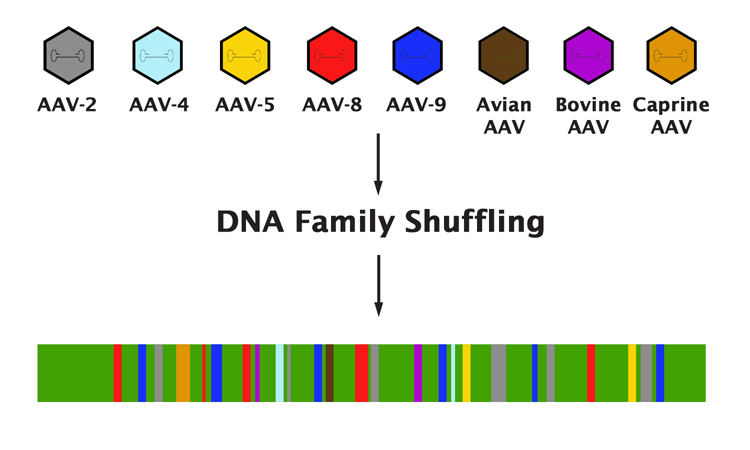 The AAV-DJ system provides a hybrid capsid created by DNA shuffling technology combining 8 different native serotypes: AAV-2, AAV-4, AAV-5, AAV-8, AAV-9, avian AAV, bovine AAV, and caprine AAV. The result is a highly infectious vector that can transduce a wide variety of cells and tissues at significantly higher rates than AAV-21. 1. Grimm, D. et al. (2008). J. Virol. 82: 5887-5911. 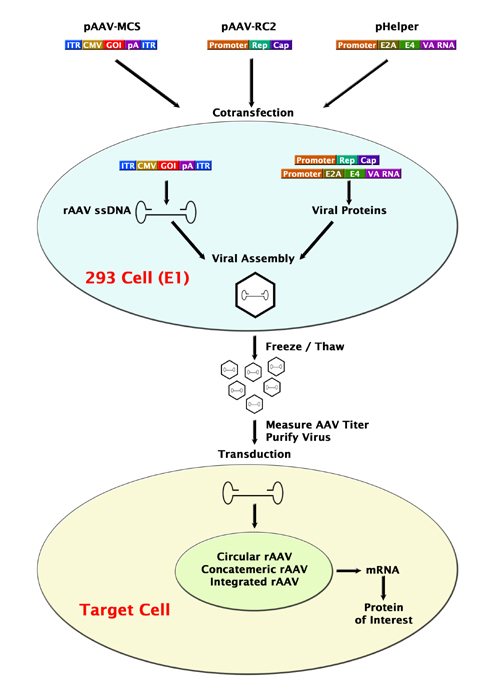 Figure 1: Production and Transduction of AAV. AAV2-GFP was produced by cotransfection of 293AAV cells (Catalog #AAV-100) with pAAV-GFP, pAAV-RC2, and pHelper plasmids. Upon harvesting viral supernatant, 293AD cells (Catalog #AD-100) were infected with AAV2-GFP for 48 hours. Figure 2: Generation of AAV-DJ through Capsid DNA Family Shuffling.